Thank you for visiting TeachingTechNix! This site is dedicated to helping teachers use technology to enhance their teaching practices. From little tech tips that help with making lesson plans and worksheets, to ideas for getting students using technology in the classroom, my goal is to help teachers incorporate technology comfortably and successfully. Teaching at an elementary school has been my dream for as long as I can remember. I've always had a passion for helping people learn. Just like many other educators, I love that moment when something clicks for someone and they really get it; it's what most of us know as a "lightbulb moment". Working my way through college as a computer technician, I realized two things: the "lightbulb moment" isn't reserved just for the classroom, and I found another passion. Teaching people about technology and helping them harness the opportunities it creates brings just as many lightbulb moments as being in the classroom. Today, I find myself very lucky to be able to work in an environment where I can do both the things I love. I'm the techy of our elementary school staff, and I have many opportunities to share my technology knowledge with fellow educators. My coworkers are always excited when I share my tips and tricks and they ask how they can learn more. 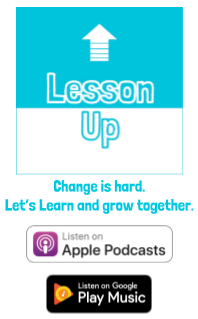 I realized it would be a whole lot easier if I had one place to share all those little tidbits, as well as some of the bigger ways I've found to use technology in the classroom. I started the TeachingTechNix site to share these tips and ideas with my coworkers and also with you. I plan to post tech tips, give occasional app reviews, provide links to helpful websites, and share about how I'm integrating technology into my classroom. 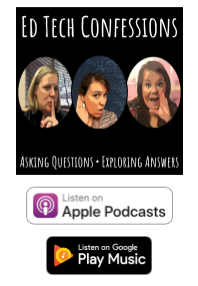 From those who are comfortable with technology to those who are perpetually baffled by tech overload, I'm hoping everyone can find something useful here at TeachingTechNix. *Update 2015: While I was a classroom teacher when I started this blog, I'm now working as an Ed Tech Coach. This should bring an even larger variety of tips and tricks your way!